we are learning to offer up and let go… – RV Cheaper! November 7, 2016 RV Cheaper! The time has finally come, we and the housing market have finally aligned for us to move on. We are selling, donating or pitching what our kids don’t want and getting ready to store everything we want to keep. The realtors we’ve talked to recommend we get almost everything out for showing the house. We don’t know if we are going to Full Time or land in a smaller home base. But, we are preparing for what ever we decide once the house is sold. 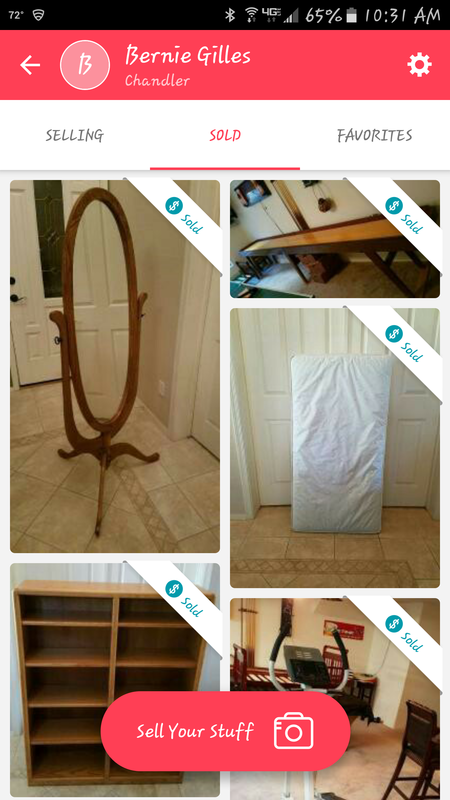 So far, we have not had any garage sales, instead we are using LetGo and OfferUp with some awesome results so far. Both apps are so easy to use and things selling so quick, I haven’t even bothered to use Craigslist. I’ve thought about trying some other apps, but these two are working so well I just can’t get motivated to post any where else. Here’s my take on the pros/cons of each app, none of the cons have me planning to ditch either app. 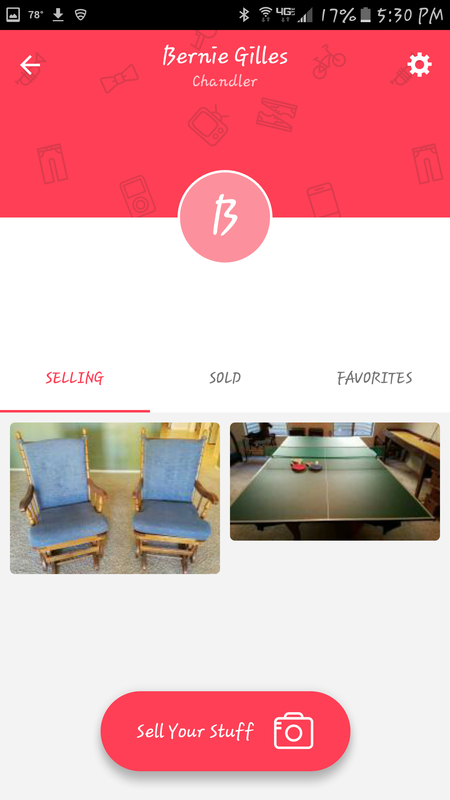 LetGo – Pros: provides an easy way to post, track messages with buyers, what’s sold and what’s still for sale. Lots of buying features as well. Cons: After you post the picture, then you add the title, description and price then update the posting. The Chat window in LetGo where you can see a thumbnail of the item and the latest conversations with buyers. 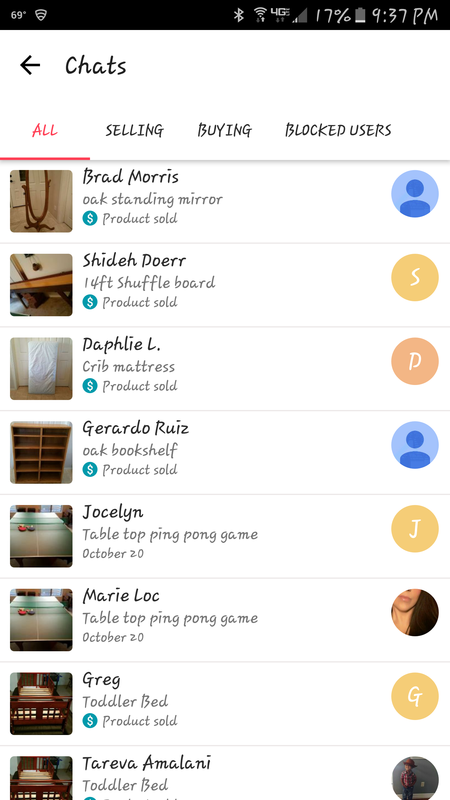 OfferUp – Pros: All of your sale items in one window with a tally of buyers that have contacted you. Click on the photo and you get to the chats with buyers and view/edit the posting. Cons: All of your items sold or selling are in one window, you can’t exclude sold items like LetGo can. 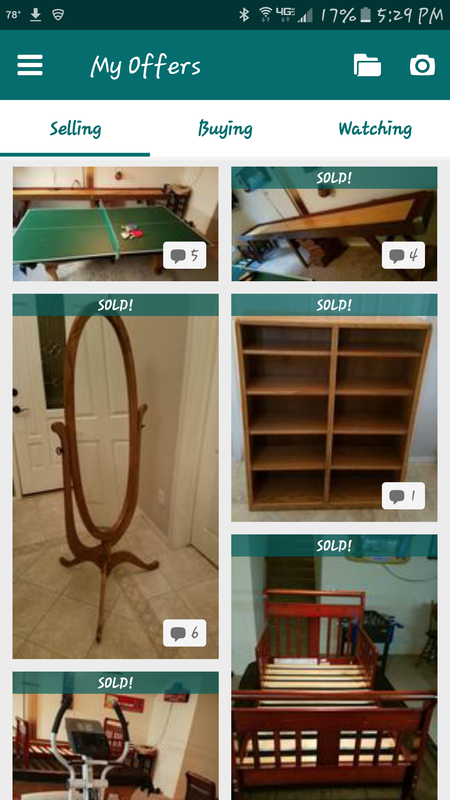 LetGo lets you see what’s sold in one window and what’s selling in the other. I’ll share more things we learn along to next chapter of our next adventure.